We all know that Baildon Railway station is located on Ridgewood Close, just off Station Road don’t we? Or that the grid reference for it is: 53° 51′ 0″ N, 1° 45′ 14.4″ W don’t we? What if you didn’t know that? On Monday we went to find Baildon railway station, we walked, we drove, and we photographed. We believe that if members of the public don’t know where a station is, or that it is has regular, reliable train services, how are we going to encourage more people to travel by public transport? We set out to use the normal road signage to find the station. There is no signage for the station from the A6038 (Otley Road) either at the Junction Inn, Kirklands Lane or Roundwood Road. 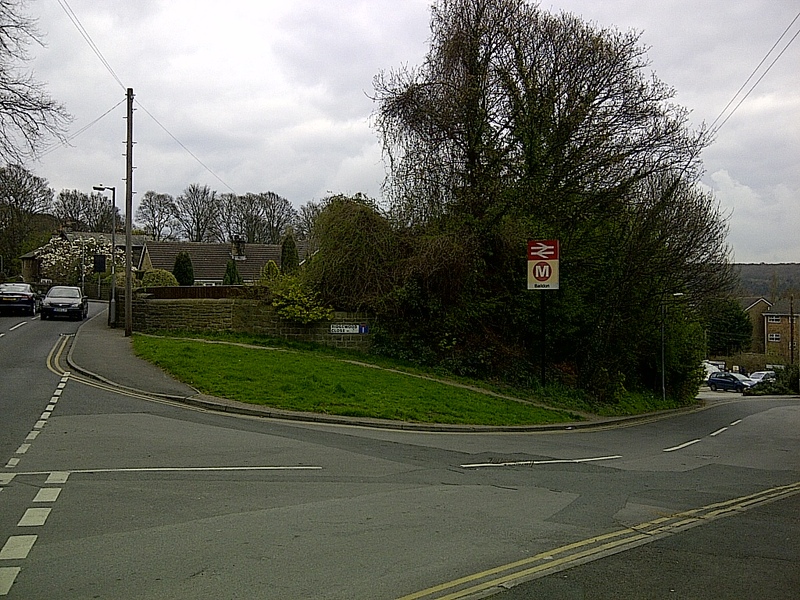 Whilst this may not be the primary catchment of Baildon station, it already limits who can find and use the station. The only clues that there is even a railway is the Victorian Viaduct crossing the River and Otley Road near Midland Road. 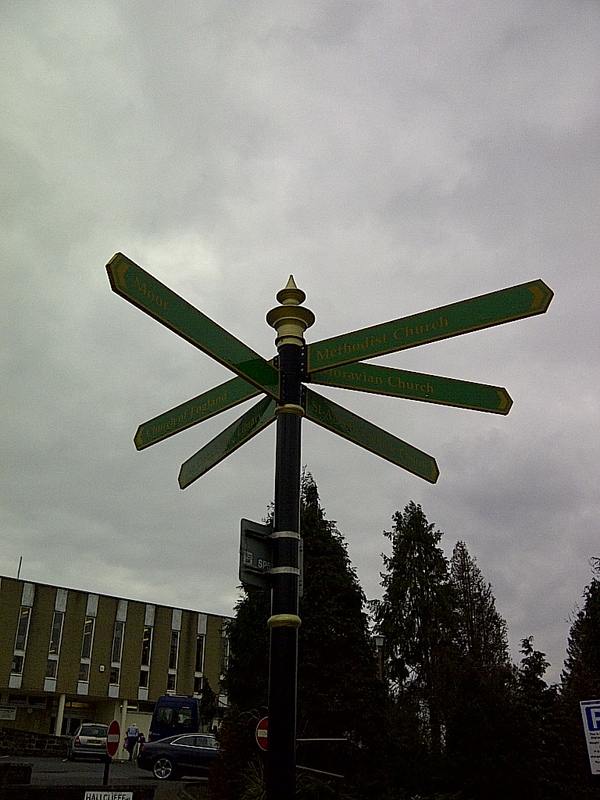 – Whilst Saltaire station with no car-parking facilities has regular signage from Shipley to the Saltaire Roundabout. We went upto Baildon village to find any signage, it isn’t shown on the main posts near the roundabout. We then decided to try find the station from Roundwood Road, as though we were coming from Guiseley, as we approached the railway bridge, we found a direction sign! But it was obscured by the weight restriction sign that had been placed over the front of it! When we continued up Roundwood Road we walked straight past the turning for the station as the 20ft tall sign outside the station could only have been seen if you were walking or driving backwards. 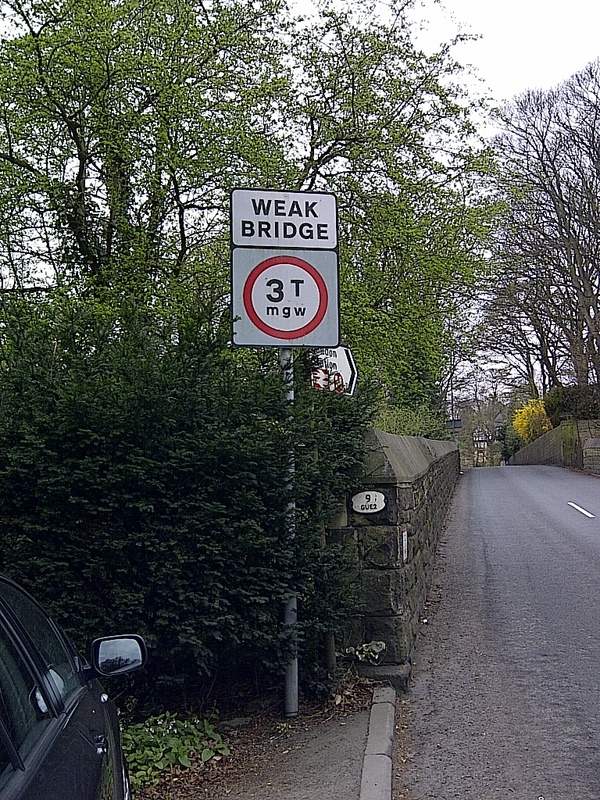 If this sign were nearer the road junction this would alleviate this part of this problem. At the station there are very clear maps to show where the nearest, and correct, bus stop is for your continuing journey. However at the Bus stops and shelters, even at the bus stop labelled “Baildon Station” there is no map or guidance about the location of the train station. If the main station sign was moved up towards the road junction, this would make the station easier to find. Though a map similar to that at the railway station would be helpful at the bus shelter and bus-stops. UPDATE: We have received feedback from Cllr Green of Bradford Council and from Cllr Lewis of Metro, they have forwarded our concerns about the lack of signage, and asked for Council Officers to investigate what works can be undertaken. Filed under: Baildon | Tagged: Baildon, Bradford, Signage |	Comments Off on “finding” Baildon railway station!